Born, 16 October 1870, Kew, Invercargill, New Zealand. Married, 27 September 1898, to Victoria Emily Mountney, Cromwell (now known as Bluff) New Zealand. Died, 4 September 1928, Auckland, New Zealand. This is still very much a draft edition and is online to solicit comment and corrections. Born the ninth of ten children, Percy’s parents were; William Burcher Kingswell and Elizabeth (nee Bryant). Little has yet to come light of Percy’s childhood other than the extra-ordinary gift the his father made him around 1885, and to his four brothers of £5,000 each. Percy being around 15-years of age had his gift invested for him. When his next oldest brother, George Kingswell, left for Australia in 1888, Percy was then considered the next most likely Kingswell son to take over the running of the “Morningside” farm/ranch in Southland. It seems unlikely that he ever did. He appears in the Westcoast Times on 29 June 1894, as a travelling agent for the A.M.P. Society. He sues Jacob Ziman for a £339 on the loss on shares in Reefton, Westcoast. He is not successful – Taranali Herald 27 Feburary 1897. “In the dredging boom he was very successful in a Company called the Pactolus Gold Dredging Coy. Ltd., near Reefton, in which he had a big interest, and which paid some handsome dividends. I remember his telling me of one of his most successful mining ventures, and that was his purchase from the discoverers of a Reef which is now known as the Blackwater Mines on the West Coast. 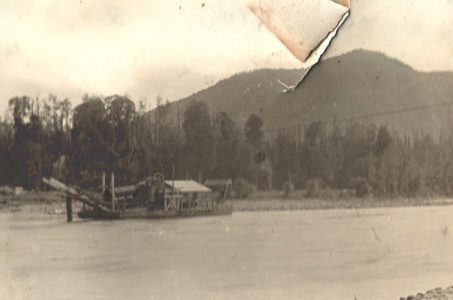 His story was that one evening, in Dawson’s Hotel, in Reefton, he heard that a couple of miners had found something good in the Blackwater district. Next morning he hired a horse and rode away out, and got in touch with the miners who had actually found some payable-looking quartz. After some discussion he asked them if they would give him an option to purchase the property, and eventually the terms they agreed to accept were £100 deposit, and six-months’ option to pay them £2,000 for their mine and rights. Having the agreement and option signed, he returned to Reefton and engaged a number of miners to go out to Blackwater to open up the reef. In about a month’s time the reef began to open up so well that it looked as if he had got on to something really good. He then approached my old friend Mr. E. W. Spencer, who was the attorney for the Consolidated Goldfields Ltd., of London, and told him that he had a reef at Blackwater that might interest his Company, and asked him if he would come out and have a look at it. Mr. Spencer went out with him, was very much impressed with it, and asked Kingswell what he wanted for it. Kingswell said he would give him an option for four months, to be paid the sum of £30,000 in cash if Spencer decided to complete the purchase. They returned to Reefton, and that night agreements were draw up. Next day Mr. Spencer set about getting more men to work at the Reef. It opened up so well that within three months he communicated with Kingswell and told him he was going to purchase the mine, and to come along and he would give him his cheque for £30,000. Later on the reef was floated in London, and was known as the Blackwater Mines Ltd., with a capital of £250,000. For many years it paid very good dividends, and is still at work, but not doing as well as formerly. P. N. Kingswell was one of the most brilliant and brainy men I have ever met, and although he was a speculator, and sometimes did things that the average businessman would not do, the fact remains that he was above the ordinary intellect. Above: Percy in the Westcoast area – sometime before or around 1900. 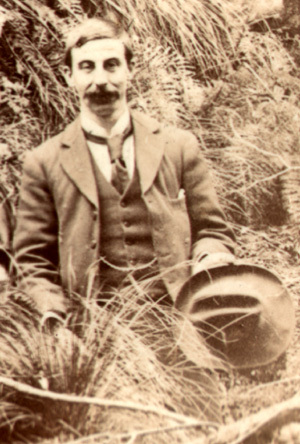 Below: Percy leaning against a Westcoast branch of the Bank of New Zealand, circa 1900. 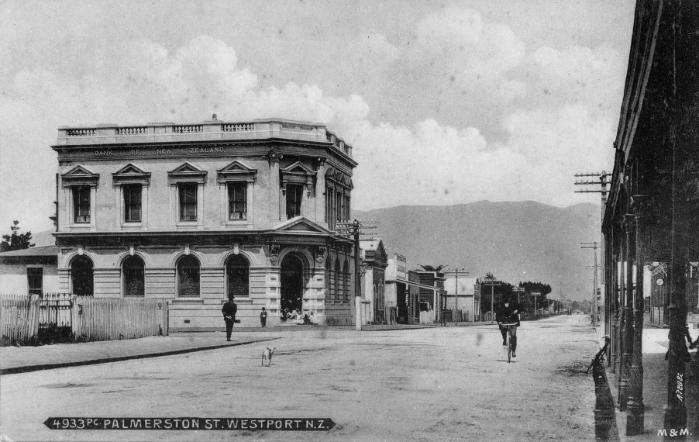 Above: Bank of New Zealand, Wesport 1900. “After making his profit out of the Blackwater Mine, he settled in Nelson, but it was too slow in that town for a man of his activity, so he moved to Auckland, where he became interested in the New Zealand Portland Cement Co., now known as Wilson’s Cement, and also in the Waihi-Paroa Gold Mining Company. Some years after the collapse of the dredging boom, he and I jointly took up a large area at Ngahere, near Greymouth, with a view to having it thoroughly prospected. If prospects warranted, we proposed to form a Company. Above: one of Percy’s gold dredging interests on the Westcoast. On 29 September 1898 Percy married Victoria Emily Mountney. 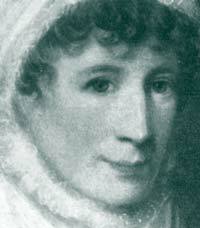 Emily, as she was known, was the daughter of Charles Mountney, a local Hotel Keeper. At the time of the wedding Percy listed his usual place of residence as Reefton and occupation as a Mining Investor. Around 1900 their first child, Muriel was born. Followed on around 1902 by Vera. Reefton Find- The Inaugahua Herald says – Informatin was recieved yesterday that valuable stone had been struck in the old Phoenix mine, now owned by Mr P N Kingswell. Some 27 years ago a small crushing of stone gave the shareholders a dividend of half a crown, the available profit being £2,500, after which the reef gave out. Recently, Mr Kingswell acquied the property and operations have resulted in very payable stone again being found. Percy first appears in the 1904 Wise’s Postal Directory and is listed as a “Mining agent and share broker” of both Reefton and Greymouth. This listing is repeated in the 1905 edition but in 1906 he is listed only in Reefton. On 12 December 1906 the Otago Witness has a lenght article about the Blackwater Reef and also mentions that Percy was paid £30,000 for the property. On 25 March 1907 the Blackwater Mines Ltd is registered in New Zealand. On 15 August 1907 he is reported in the Westcoast Times as being part of a deputation to the Minister of Customs seeking the removal of duties on mining machinery. In the 1908 Wise’s Postal Directory Percy is now living in Brougham Street, Nelson. He is reported as being elected as a directory to the NZ Portland Cement Company – Evening Post 28 January 1908. 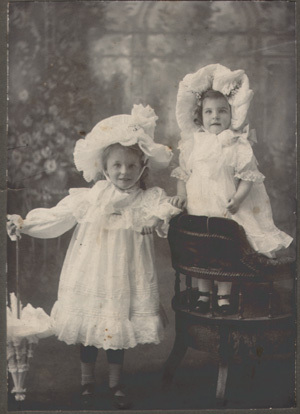 Above: Percy’s two daughters, Muriel (left) and Vera (right). Above: The Golf-House in 1920, seen from the north-west. 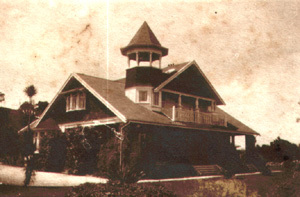 Below: The Golf-House in 1920, seen from the north-east. On 17 July 1909 the Taranaki Herald notes that Mr Kinsgwell is a newly elected director of the Taranaki Petroleum Company. This must have been a short term directorship, as on 28 October 1909, again in the Taranaki Herald, Mr P N Kingswell is noted as being a retiring director. By 1909 the Kingswell family was established in Auckland. On 2 October 1909 Percy, who was at the time the President of the Auckland Golf Club, purchased the ‘Golf House’ from the Auckland Golf Club when it was decided to relocate the Club’s course from the south slopes of the One Tree Domain to Middlemore. 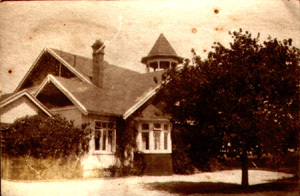 On purchasing the house he “added bay windows on both floors and the curious octagonal turret tower.” He was reported in the Otago Witness 27 October 1909, as one of the new vice-presidents of the Maungakiekie Golf Club (being the name of the club taking over the One Tree Hill links). “It might be taking the literal meaning of landmark to a fine point when describing the property for sale at 9 Fern Ave, Epsom. The spacious 611 sq m (6600 sq ft) English-style mansion is tucked away in a park like domain well away from public gaze. From a distance, however, it is easy to pick up the imposing turret that rises high above the triple-gabled roof line. From it can be enjoyed extensive views across the city to the west. “Now known as Sherwood Court, the Epsom property at the base of One Tree Hill was originally built as rooms for the Auckland Golf Club. Several years later four upstairs bedrooms were added, turning it into a sizeable residential unit. “The solidly built kauri house has an air of permanence. Exterior highlights include a wide return veranda with pillars of solid rock. There are several prominent bay windows and one, in the formal lounge, maintains the circular shape upward through the second level and the turret above. “Most notable for their style are the large entertainment lounge, the pool room, the library/study, the formal dining room and a huge atrium-style reception area beyond the main foyer. “Upstairs are five bedrooms, two bathrooms and two decks. In the Evening Post on 1 February 1910 he is reported as being the Managing Director of the New Zeland Portland Cement Company. STARTLING COLLISION, MOTOR-CAR AND TRAMCARS. AUCKLAND, 22nd July. A startling collision between a motorcar and two tramcars occurred this evening, by which Mr. Ferguson, a visitor from Greymouth, had one hand severely crushed. The car was driven by the owner (Mr. Percy Kingswell). who passed in front of the tram towards the right. The driver failed to notice the tramcar coming in the opposite direction, and the automobile struck it. The impact threw the motor back in front of the other car again, and it was knocked off to the side of the road. Mr. Ferguson was thrown out, the other occupant being badly shaken. Mr. Ferguson- had his thumb amputated, and may lose the hand. The motor-car was badly damaged. Death of P. N. Kingswell. A well known city company promoter, Percy Nicholl Kingswell, aged 57, committed suicide by gas poisoning at his residence in Golf Road, Epsom, early yesterday morning. According to evidence at the inquest later in the day the deceased was involved in financial trouble. The evidence showed deceased retired at 8.30 on Monday evening. A letter addressed to his wife, was found outside his room next morning. Dr. E. D. Aubin was called, and found the deceased lying dead in his bed, life having been extinct for about four hours. A verdict of suicide by gas poisoning was returned by the coroner, Mr F. K Hunt, S.M. Emily Kingswell sold the ‘Golf House’ in April 1929 and died before December 1948 (her Will was proved 9 Dec 1948 in Hawera, New Plymouth). Kingswell, War Correspondent Elma Kingswell, 1938. In the Years that have gone Harman Reeves, 1947. NZ Herald, 26 April 1995, page 10, Section 3. ‘Snaps of the Garden, 1920’, Xmas Greeting Card from Vera Kingswell. NZ Herald, 5 September 1928.